Phil89 wrote: That's a pretty nice contract to have a guy like Gibson on. 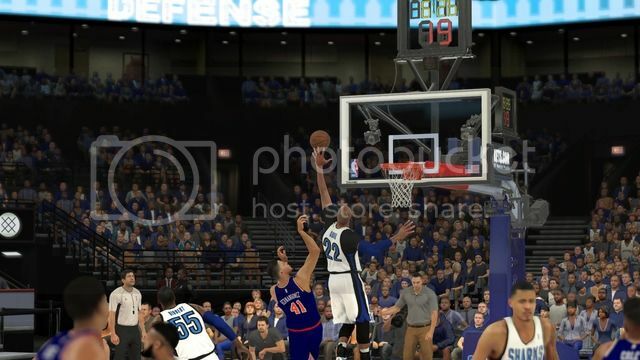 Yeah 2K definitely needs to work on that part of MyLeague/MyGM. Hoping free agency will be a bit more realistic although I certainly can't complain about getting a serviceable vet for 3m a year. Phil89 wrote: It'll be interesting to see who else gets an extension. Although it must be tempting to save your cap space to spend on free agents. Good work locking Gibson up for another 3 years (and for cheap too). It's a nice contract for someone who is going to be a good veteran presence for your team. Kenny wrote: Good work locking Gibson up for another 3 years (and for cheap too). It's a nice contract for someone who is going to be a good veteran presence for your team. Definitely, he will also still be very serviceable player off the bench if I manage to acquire a better 4 in the offseason. The Sharks may still be the second worse team in the Eastern Conference record wise (and the third worse team in the league overall), but December was definitely a marked improvement over their previous month’s performance, as Chicago took advantage of a number of favorable matchups to just finish under .500 for the month at 7 wins and 9 losses, and was arguably a few plays away from being 8-8 or even 9-7, dropping close games against the Rockets, Jazz, and the Miami Heat. After the Tony Allen point guard experiment ended with mixed results – great defensive performances holding opponents to under 95 points in 5 of the 8 games and under 100 points in 7 of the 8, but only ending up with 2 wins – David Blatt finally re-inserted Ty Lawson into the lineup and was rewarded with much improved play. His shooting is still shaky and doesn’t look like it’ll ever be consistent again, but a record of 5-3 since Lawson’s return to the lineup is something that Blatt should be happy with. The biggest factors of the good play, however, is the contributions of veteran forward Taj Gibson – who was rewarded with a 3 year extension – as well as the high flying journeyman guard Gerald Green, whose offensive explosion this month carried the Sharks to a lot of wins that they otherwise would not have gotten. Gibson averaged 11 points and 7 rebounds for the month of December, including a career high 26 points along with 12 rebounds against the Knicks; while Green upped his scoring from 10.4 per game in November to 16.1 ppg in December, shooting just over 47% from the field and 39% from three. 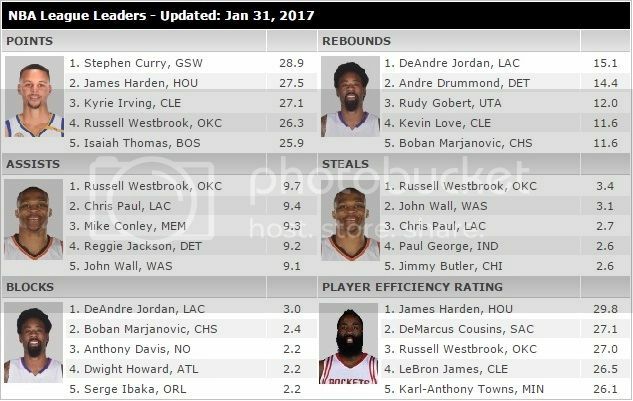 His defense also saw rapid improvement, as he allowed just under 6 points per game and held opponents to 39% shooting from the field. If this keeps up, expect head coach David Blatt to consider replacing the aging Tony Allen in the starting lineup with Green as the season progresses. Another player whose place in the rotation may be threatened is backup center Roy Hibbert, as new signing JaVale McGee has shown in very limited time how much of an upgrade on the defensive end he is against more mobile opponents in today’s game. Hibbert, while very solid so far, is often beaten and looks lost against smaller, quicker matchups who venture outside, such as Chris Bosh of the Miami Heat in the last game of the month, when the Sharks fell 87-95. McGee is a far more athletic and mobile option at center who, if he continues to show his focus and commitment, could eventually break into the rotation at the expense of the former Pacer Hibbert. Against a Western Conference playoff contender in good form, the Sharks surprised everybody by performing at the highest levels, as they never trailed after a 0-4 start to the game and at one point led by as many as 17 points despite Damian Lillard and C.J. McCollum combining for 57 points. Gerald Green scored a season high 29 points off the bench, only missing 6 shots in total (11-17 FG), and even grabbed 6 rebounds as the Sharks won the rebounding battle 44-39 en-route to the victory. An absolutely dreadful and miserable showing as Kyle Lowry bagged a triple double (33-13-11) and Jonas Valanciunas netted a season high 22 points along with 13 rebounds in the 26 point drubbing. The margin was as wide as 29 at one point and Chicago never had the lead at any point in the game. The Sharks almost had as many turnovers (22) as field goals (28). It was not a pretty sight for Sharks fans to endure. After a somewhat “rough” start to the season adjusting to the arrival of superstar Kevin Durant, it seems as though the reigning back to back, and unanimous NBA MVP Steph Curry has figured it out. Not that they were struggling much after November in the first place at 16-2, but Curry and the Warriors have really taken off, winning 10 straight at one point in the month of December, with Curry leading the way in points scored in 12 of the Warriors 15 games played, including 10 thirty-plus point performances. 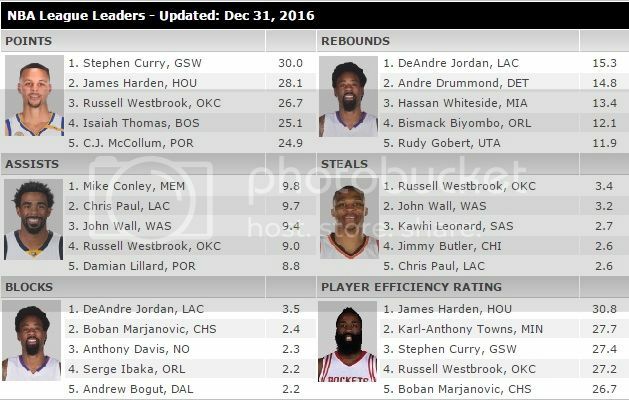 Of course, we are still very early into the season, and with Westbrook’s eye-popping near-triple double averages (he has dropped off a bit this month), as well as Harden flourishing in Mike D’Antoni’s system, it’ll probably be a tight race until the end, but if Curry keeps this up, he might start to pull away soon, especially as Durant had just picked up a minor shoulder injury. Whatever happens, it’ll truly be a pleasure to watch. Comment: There’s no other way to say it, Curry has just been hitting anything he puts up in the month of December, as he was only 0.4% away from a 50-50-90 month, with 32.4 points per game. He dropped a season high 50 points, only missing 4 shots (17-21) in the Warriors 123-118 win over the Phoenix Suns. Comment: Get the man some help! 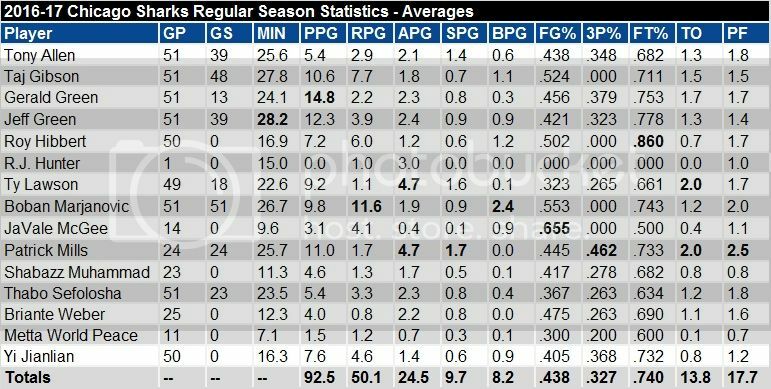 Westbrook’s production has dropped off a bit from his historical pace to start the season, and the Thunder’s spot in the Western Conference standings has taken a tumble down to 8th as a result; but that is really to no fault of Westbrook, who is still averaging a very respectable 26-9-9-3. Somebody else needs to step up and contribute in Oklahoma City if they have any shot of getting back into contention. Comment: His offense has cooled off this month, but a statline of 15-15-3 is great for anybody to have. Buoyed by Jordan’s presence, the Clippers are firing on all cylinders now, going 11-3 for the month and are currently riding an 8 game winning streak. Comment: Harden’s scoring has dropped from 30.5 to 28.1, but his assists have increased up to 6.3; and while Houston ended the month with just a 9-7 record, they do have an ongoing 3 game win streak and all the momentum heading into January. Comment: We thought his assist numbers were great last month at 8.1 per, but the 14 year pro keeps surprising us once again by averaging just under 10 assists per game in December, while also upping his efforts on the defensive end, nabbing 2.8 steals and 1.6 blocks per game in the month. As a results, the Cavs, currently on a 6 game win streak, are running away with the top spot in the Eastern Conference at 25-9. Comment: As hard as it is to believe, but Kawhi Leonard is shooting almost as good as Stephen Curry from long range this season, as he ended the month shooting 49% from deep. Remember, this is a defensive specialist who came into the league with a minimal offensive game. Comment: Regardless of DeAndre Jordan’s performances, it’s no surprise that the Clippers surge up the standings have coincided with the return of Blake Griffin, who was recovering from a broken toe in the first month of the season. The 7th year veteran is averaging a career best in both assists and blocks while at the same time maintaining a 22-11 output. Now that’s impressive stuff. Comment: It is an absolute miracle, but the Pelicans are sitting pretty at .500 thanks to the efforts of their star forward Anthony Davis, who upped his rebounds, blocks, assists, and shooting percentages in December and willed the woeful Pelicans to an inconceivable winning month. Comment: Last month, it was Damian Lillard here in the top 10. This month, it’s his backcourt mate C.J. McCollum, as the red hot guard put up 26 points and 6 assists per game in December, with percentages of 51-49-86 to lead the Blazers up into the playoff picture. Comment: After enduring a 9 game losing streak, the Boston Celtics have turned into one of the league’s hottest teams with an 8 game winning streak heading into the new year. Isaiah Thomas has been lighting it up in the absence of the injured Al Horford, who is slated to return in 2 weeks time. If they keep up this form, they might just make it back into the playoff race. After all, they are in the Eastern Conference. Wow, Seattle are definitely exceeding expectations for an expansion team in their debut season. It's also interesting to see Orlando doing so well. Are you still aiming for the playoffs at this point or are you happy to finish near the bottom and take the high draft pick? Phil89 wrote: Wow, Seattle are definitely exceeding expectations for an expansion team in their debut season. It's also interesting to see Orlando doing so well. I always try to win every game when I'm playing but it is difficult (I've got real shooting % on so I can't really influence it with my skills on the shot meter), management side definitely planning for the future. Well, I can't see it either but Blake's been out for a while and DeAndre has been the Clippers' best player so I gotta put him up there for now. Coming into the game with a 5 game losing streak and fresh off getting run off the court yet again by the Golden State Warriors, nobody expected the Chicago Sharks to beat the young and rising Philadelphia 76ers, who have begun 2017 with three straight victories. 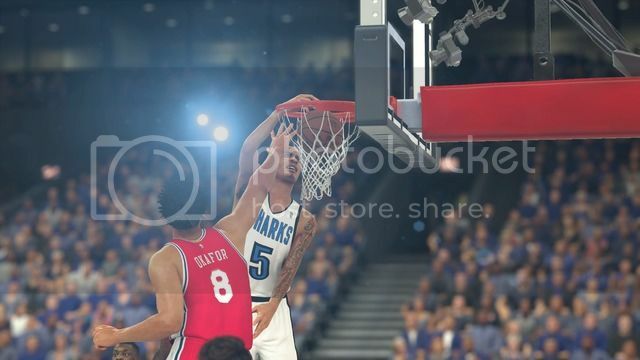 Gerald Green had other ideas. Starting in just his second game of the season in a line-up change that also saw the return of point guard Patrick Mills from injury, Green scored a season high 31 points, including 17 in the fourth quarter, and slammed in the go-ahead basket over Sixers center Jahlil Okafor with 4.3 seconds remaining - the first lead of the night for Chicago - to lead the Sharks to a 98-96 victory, the team’s first win of 2017. “We had nothing to lose, they were ahead the whole game and I just said to myself that we weren’t going to go down without a fight” said Green. Taj Gibson added 17 points and 10 rebounds, while Boban Marjanovic shook off a rough start to finish with 11 points, 13 rebounds, and 4 blocks to aid the cause. In his first game returning from an ankle injury, point guard Patrick Mills contributed 7 points and 7 assists in the victory, with the seventh one being the one to Green that gave the Sharks the win. The Sixers, who led by as many as 12 points at one point and never trailed until the final 4 seconds of the contest, was led by center Jahlil Okafor, who scored 20 of the team’s 48 points at halftime, and finished with 30 points and 8 rebounds on 12 of 25 shooting. Okafor was so unstoppable in the first half that Sharks head coach David Blatt inserted seldom used JaVale McGee alongside Roy Hibbert for a brief stretch in the fourth quarter to contain him, which led to open opportunities for rookie Ben Simmons to finally make an impact, as the number one overall pick from Australia scored all but two of his points in the second half, and finished with 14 points, 7 rebounds, and 5 assists. Fortunately for the Sharks, Marjanovic stepped up his game late, and had several key blocks down the stretch that led to fast break threes from Green as they sneak by the Sixers for their 13th win of the season. So much has been said about the incredible length that Milwaukee possesses across the board, and coming into the game on three straight blowout victories, nobody expected the Bucks to have any troubles with the lowly 14-29 Chicago Sharks, who has had turnover issues and have been struggling with securing defensive rebounds all season long. Behind a 50-37 rebounding advantage, the Chicago Sharks made quick work of the red hot Bucks as they defeated them 97-86 in Milwaukee for their 15th win of the season, and snap the Bucks’ winning streak at three. The Sharks, led by Gerald Green’s 20 point performance, had as much as a 16 point lead early on in the fourth quarter, with the Bucks finally drawing a tad closer in garbage time to make the score more respectable. Buoyed by their own length and size in the front court, the Sharks never looked bothered by the Bucks’ length, swatting shots away seemingly at will (10 blocked shots), cutting off passing lanes (10 steals), and dominating the offensive boards (13 offensive rebounds). The seven footer trio of Boban Marjanovic, Yi Jianlian, and Roy Hibbert combined for 27 rebounds, while 6-9 power forward Taj Gibson also added 9 boards of his own. However, the biggest difference maker for Chicago was actually small forward Thabo Sefolosha, who had his best game of the season for the Sharks thus far, contributing 13 points, 6 rebounds, 3 assists, 2 steals and 1 block on 5-12 shooting from the field. Not eye popping stats by any measure, but his impact was definitely felt across the board for the Milwaukee players, mainly their star Giannis “Greek Freak” Antetokoumpo, as he held the 6-11 point forward to just 2 points, 4 rebounds, and 4 assists with 3 turnovers in 36 minutes of play. It was a very disappointing loss for Milwaukee, as again they came into the game on a three game winning streak - all three being blowouts - with the last game being a 97-79 rout of the Spurs in San Antonio. “To come back home and lose in this fashion after a big road win is unacceptable” said Bucks coach Jason Kidd. 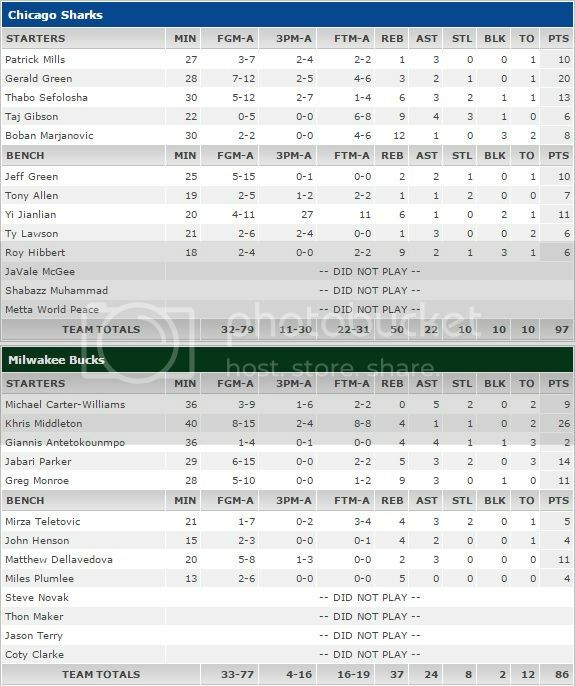 The Bucks on the other hand were led by Khris Middleton, who put up a game high 26 points on 8 of 15 shooting in 40 minutes of play. 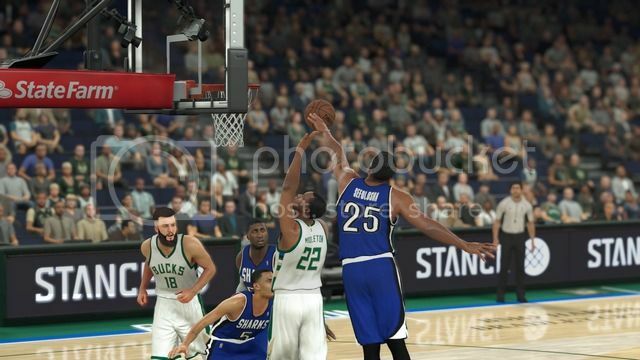 Jabari Parker added 14 points, while Greg Monroe had 11 points and 9 rebounds in the losing effort. 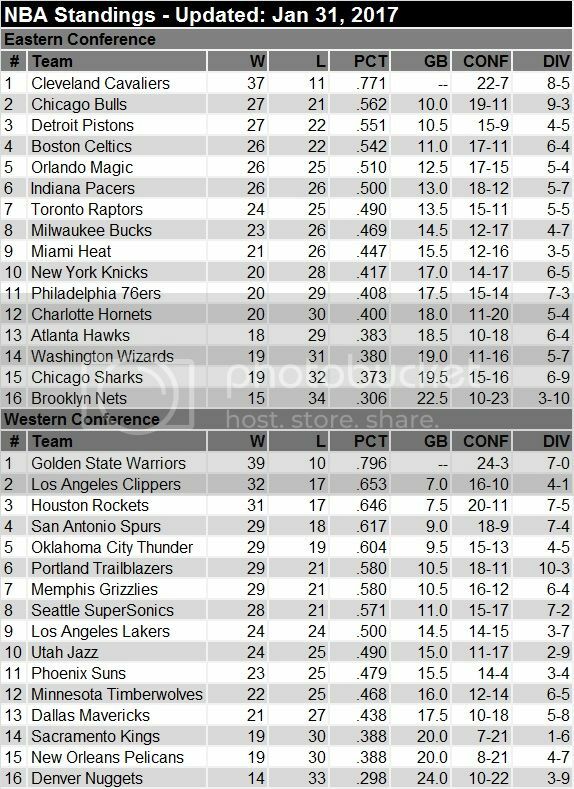 With the midway point of the season approaching, the Bucks, now 19-22 and lingering on the bottom of the central division (but still in the playoff picture), will have to make a rally soon if they still want to contend for a playoff spot this season. 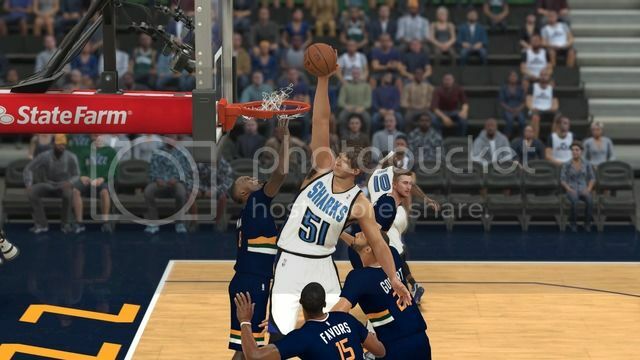 Nice to see Thabo getting some work done against Giannis. Good job picking up a few wins lately. 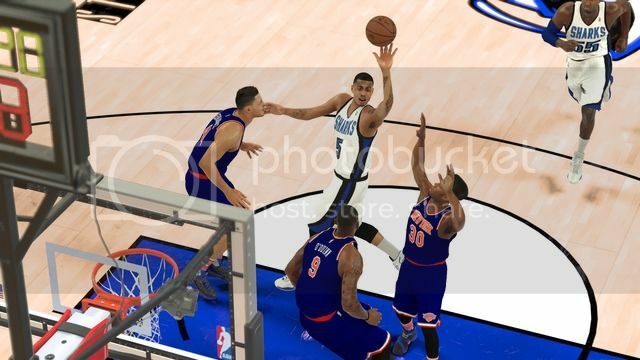 Phil89 wrote: Nice to see Thabo getting some work done against Giannis. Good job picking up a few wins lately. Green is an absolute beast when he's on, just pours the points in bunches. Hard to create shots for himself though. It’s not often when a game in the NBA completely encapsulates how a season is going for both parties. Unfortunately for the Chicago Sharks, it did tonight. 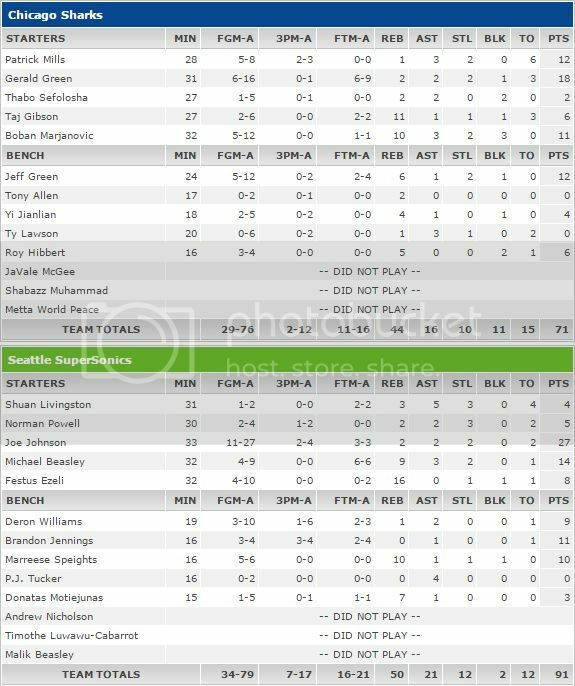 Behind 27 points from veteran forward Joe Johnson, the Seattle Sonics defeated their visitors in a rout, 91-71, in the first meeting between the two expansion franchises. 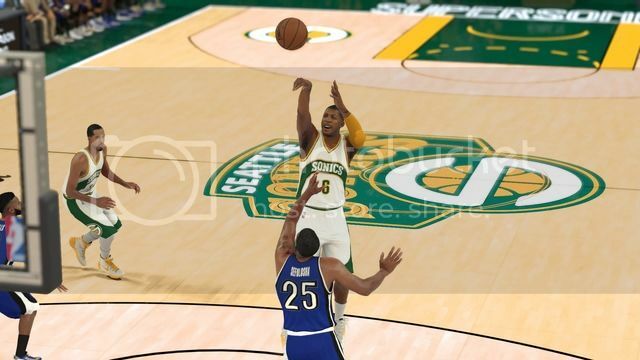 Coming into the game with a record of 26-16 and winners of 6 of their last 7 games, the Seattle Supersonics have surprised a lot of pundits with their great play all season long despite being an expansion franchise. There were a lot of doubters when they chose to select aging former stars in the expansion draft, but management has seemingly been vindicated as the team currently occupies the 5th spot in the competitive Western Conference standings. Meanwhile on the other side of things, the Sharks have struggled mightily (16-29), as they are near the bottom of the Eastern Conference standings. The differences between the clubs were revealed far too clearly tonight, as the offensively challenged Sharks only scored 20+ points in one quarter, and shot just 38% as a team from the field. On the flip side, after struggling with the Sharks’ length in the first quarter, the potent (100.7 ppg) Sonics offense got things going, as they proceeded to score 27, 25, and 24 points in the following periods of play. They also dominated the paint in a surprising manner despite the size and length present with the visitors, as they were led by Festus Ezeli’s career high 16 rebounds. Marreese Speights added a double double with 10 points and 10 rebounds, while Michael Beasley chipped in with 9 rebounds of his own along with 14 points. The Sharks were once again led by the efforts of recently anointed starter Gerald Green, who had a rough shooting night (6-16) but did end up with a team high 18 points. Patrick Mills and Jeff Green added 12 apiece, while Boban Marjanovic ended the game with 11 points, 10 rebounds, and 3 blocks. There were a lot of areas where Chicago struggled, but none were more evident than their disappearing act from deep, as they made only 2 of 12 attempts on the night, which allowed Seattle to focus in on their bigs inside. 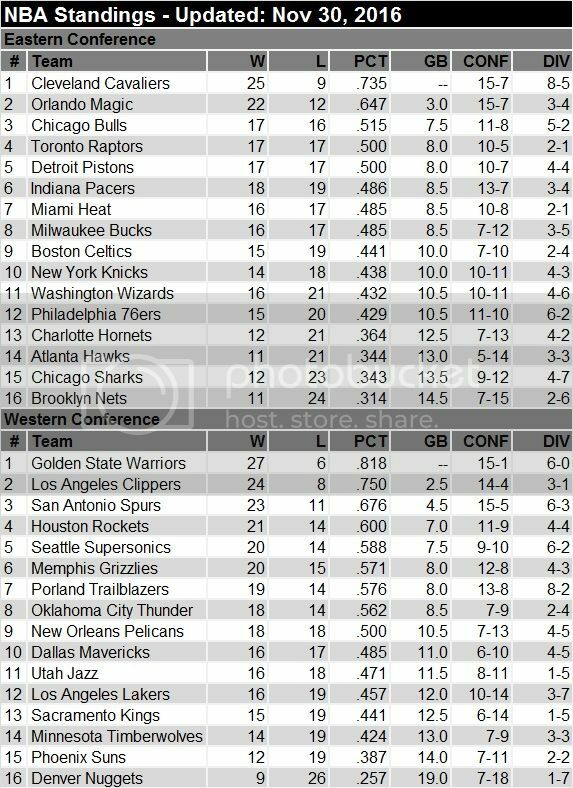 The Sharks now drop to 16-30 for the season while the Sonics rise to the 4th spot in the West with a 27-16 record. The two teams are slated to meet again in a few weeks’ time in Chicago. Last edited by Valor on Wed Apr 05, 2017 1:30 pm, edited 1 time in total. Tough loss. Have you thought about firing up the tank? Lamrock wrote: Tough loss. Have you thought about firing up the tank? Doesn't look like that was a very fun game to play. On the bright side though, every loss gives you slightly better shot at landing a potential star in the draft. Phil89 wrote: Doesn't look like that was a very fun game to play. 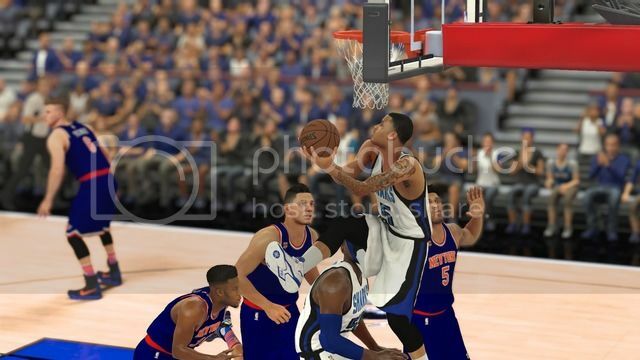 I had a bad experience with Joe Johnson last season. He scored like 30 points in the first half and then did nothing in the second. It was so weird. 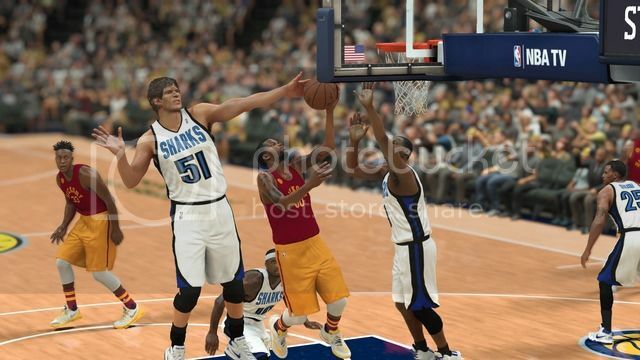 Phil89 wrote: I had a bad experience with Joe Johnson last season. He scored like 30 points in the first half and then did nothing in the second. It was so weird. 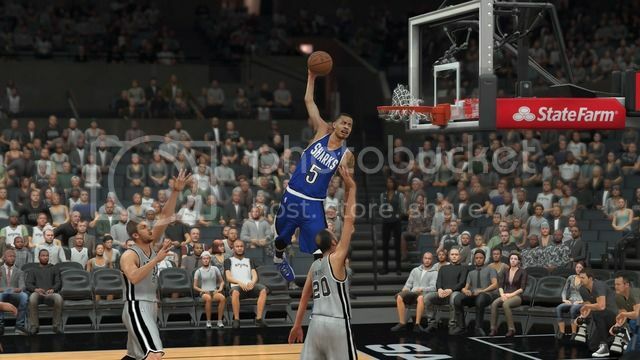 Yeah he's just one of those weird CPU 2K players I guess. It seems as though the Sharks’ season so far can be summed up with one word - futile. Despite another hard fought month where they once again finished just under .500 at 7-9, the Sharks are finding themselves firmly, and unhappily, stuck in the 15th spot (second last place) in the Eastern Conference Standings. This is despite the emergence of Gerald Green as the team’s go-to-option on offense and the delightful return of starting point guard Patty Mills, who have combined to lead the team to a number of impressive victories over tough playoff contenders such as the Portland Trailblazers, the Toronto Raptors, and conference rivals in the Milwaukee Bucks and Indiana Pacers. 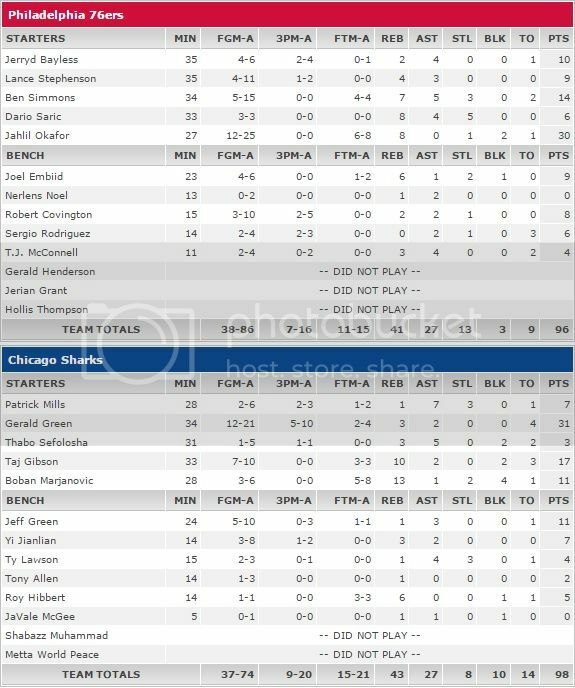 However, similar problems seem to persist with the Sharks, as 5 of their 9 losses had been by a margin of 10 points or less, including a heart-wrenching 93-95 defeat at the hands of Indiana, a game that Chicago had led by as many as 15 points at one point. Their inability to close out games, as well as score consistently (27th in the league on offense) means that they’ll almost always be outclassed by stronger opponents, as evident by their crushing defeats at the hands of the Clippers, Sonics, and of course, the Golden State Warriors. While both head coach David Blatt and management continues to insist that they are trying to win every game and compete for a playoff spot in the franchise’s inaugural season, perhaps it is time to think about the future and take to developing talent and tanking for the lottery. 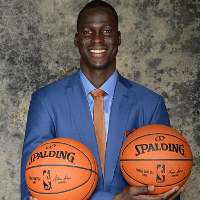 With young prospects such as RJ Hunter (1 game), Shabazz Muhammad (23 games), and Briante Weber (25 games) not having played much, maybe it is time for Chicago to give them a chance to show what they’ve got to offer. The Sharks make it a perfect 2-0 season series sweep against Portland with another dominating performance in all facades, and it is beginning to look as though Chicago might become the bogey team of the Western Conference contenders in the Portland Trailblazers. Gerald Green led the way once again with 30 points (he had 29 in the teams’ last meeting) while Boban Marjanovic continues to dominate in the paint with 14 points, 13 rebounds and 5 blocks as the Sharks led by as many as 15 points at one point during the game. Where to begin? The Warriors looked as though they were in shootaround with the ease in which they scored the basketball over and over again on the Sharks in Chicago Stadium. Durant dropped 38-8-7, Curry Bagged 31-7-11-4, and Klay added 21 of his own as the Warriors shot over 50% from the field (45-89) and 39% from deep (14-36) to easily take the 37 point win. To top things off, the Sharks was booed off the court by their own fans while Golden State’s stars stayed on in garbage time to pad their stats. He almost touched the ceiling! 13/01/2017 – Nuggets Trade: PG Jameer Nelson; Cavaliers Trade: SF Mike Dunleavy Jr.